It wasn’t easy, but FC Barcelona Lassa overcame Frigoríficos Morrazo de Cangas at the Palau Blaugrana by 40-26, despite not having much time to prepare for the game. 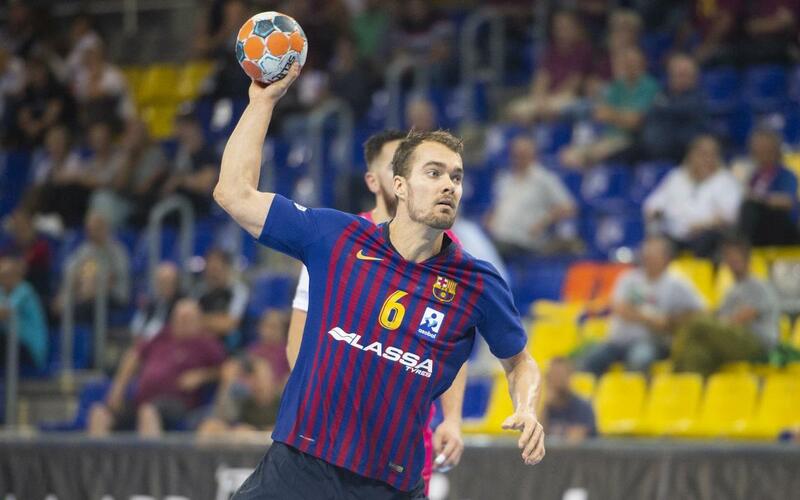 Xavi Pascual's team returned to Barcelona on Monday morning, after beating Kristianstad (25-44) in the Champions League, but thankfully that wasn’t an impediment in their Asobal League game. In fact, the start of the match saw Barça Lassa roar into a 7-0 lead after a goal by Mortensen (min 8), although Cangas reduced the difference (11-7, min 17) and at the break were only three goals behind after Adrián Menduiña's score (19-16, min 30). In the second-half, Barça put their foot on the accelerator and within 10 minutes had increased the lead to 10 points (29-19). By the final whistle, the hosts had gone further ahead, finishing with a winning margin of 14. The next challenge will be the Champions League, against Montpellier, the current champions.